Purchasing a property at a foreclosure trustee auction is a great way to find a primary residence or vacation home at an outstanding price. 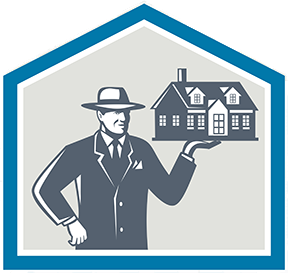 Many home buyers looking to purchase a property through a foreclosure trustee auction opt to work with a bidding service like Gentry Real Estate Group’s Buy Low AZ. BuyLowAZ is a one-stop-shop for investors looking for distressed properties, flip properties, buy and hold, as well as for home buyers looking to find their perfect primary or vacation residence. For families relocating to a distant state or region, working with a bidding service can save time and money. BuyLowAZ’s bidding services offer several options for bidding on a property you want. Our staff will be on the auction floor to bid for you or become a Pro Member and take advantage of the BuyLowAZ website and bid directly from your member’s login, email, or text. How do foreclosure auctions work? In addition to the daily list, BuyLowAZ provides our “Pick List,” a secondary list of auction properties with opening bid amounts below 70 percent of the market value. The Pick List includes detailed market analysis on each property, with maps. BuyLowAZ’s experienced staff of professionals works closely with investors to help guide them to making the most beneficial decisions for their needs. Ultimately, the decision to bid on a property is always the investor’s, but our professionals are always here to offer assistance. When do property auctions occur? Auctions occur daily at 9:30 am, 10:00 am, 11:00 am, 11:30 am, 12:00 pm and 2:00 pm. Morning auctions typically take place at various trustee or attorney offices, and afternoon auctions occur outside on the Maricopa County Courthouse steps. About 20 properties go to auction on any given day. Many property auctions can be postponed, or may not be considered good buys. This is where the experts at BuyLowAZ step in to help you make sure you find the right properties for your strategy. How should investors prepare for an auction? • Find out whether or not the home or property is occupied. • Examine the condition of the home or property from the outside, making sure to view the backyard if possible. • If access to view the home from inside is available, do so. • Confirm whether or not taxes in arrears (back taxes). • Visit the Maricopa County Treasurer’s Office website. • Enter the 8-digit tax parcel number associated with the home. • View tax information and confirm Federal IRS Tax Liens. BuyLowAZ does not offer a full title report on each property, but we do help investors requiring one by providing contact information to title companies who provide this service at a discounted rate to BuyLowAZ clients. Once you’ve won an auction, BuyLowAZ can help you perform the follow-up tasks necessary to sign the purchase contract, wire your earnest money deposit, provide proof of funds, and release your bid deposit. The length of the close will depend on the particular property you buy, but once closing is completed, congratulations! You’re the proud owner of an investment property, and thanks to BuyLowAZ’s comprehensive bidding services, you’ve successfully joined the world of real estate auction success.